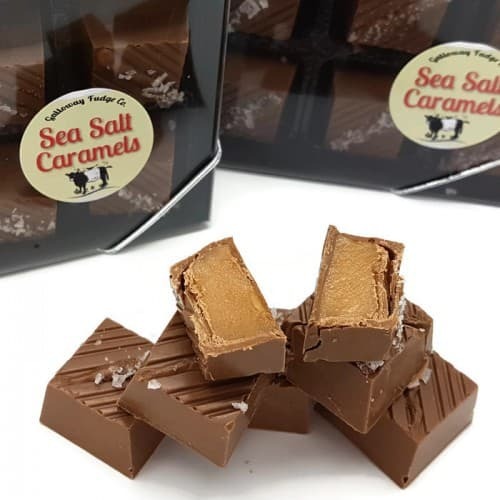 Sea Salt Caramels are the perfect combination of creamy caramel, decadent chocolate and a sprinkle of sea salt - what could be better? The gift box packaging is perfect for gift giving. 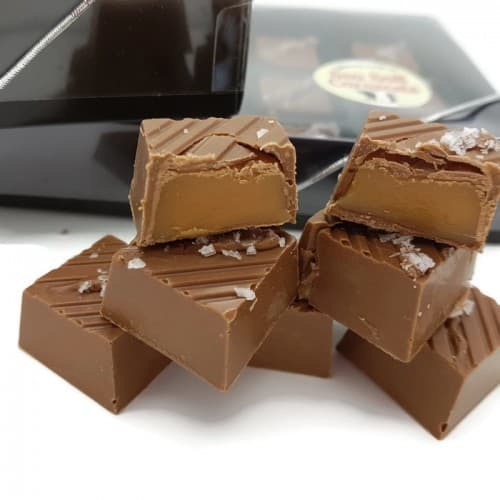 Milk Belgian chocolate sea salt caramels. If you know someone who needs cheering up, then these are the perfect gift to put a smile on their face. Ingredients Corn syrup, sugar, MILK, fructose, hydrogenated coconut oil, butter (MILK), SOYA lecithin, emulsifier, vanilla, flavour, natural sea salt. 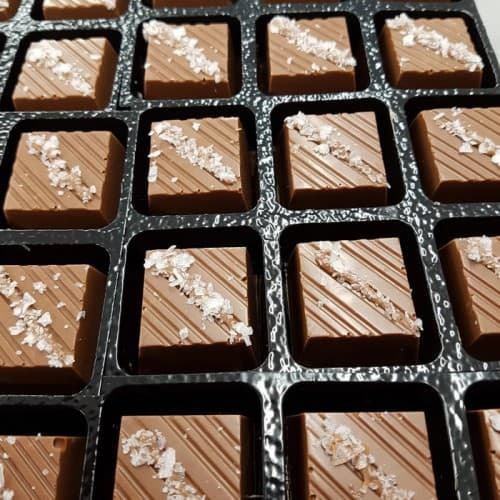 Milk Chocolate: 33.6% Cocoa Content: Sugar, Cocoa Butter, Whole MILK Powder, Emulsifier: SOYA Lecithin, Natural Vanilla.